In almost every respect, the basic biology of hair growth is the same in both men and women. So both sexes are equally prone to being affected by the side-effects of various drugs or by some of the diseases and disorders that can cause hair loss. However, because women are more enthusiastic about dieting, there is a greater risk that good standards of nutrition are not maintained. There is good clinical evidence that a failure to eat an adequate and balanced diet over any length of time affects hair quality. Crash diets are particularly damaging. At first, this damage may show up as a loss of sheen — the sebaceous glands associated with the follicles produce less natural oil. But an iron deficiency will accelerate loss. Fortunately, this is fairly easily treated. All that is required is balancing the diet but keeping the portions small. That way, people can lose weight and keep their hair. The other more common reasons revolve around hormonal imbalance. During and immediately after pregnancy, many women experience hair loss. This is perfectly natural and there is no need to take any remedial action. As the body’s natural chemical balance is restored, hair growth will resume. However, allied to a hormone imbalance is the fact that stress will cause hair loss. Any trauma, physical or emotional, can trigger loss. A difficult labor, accidental injury or stress because of a death in the family, divorce or some other event will often cause a temporary loss of hair. As the stress levels diminish, hair growth will slowly resume. It is just a matter of being patient. Finally, it is only fair to make a distinction between hair loss and hair damage. Some women damage their hair by using chemicals, dye or excessive heat to color, straighten or curl their hair. The fact that hair is breaking off when damaged is not the same as natural baldness. Similarly, if there is excessive traction on the hair, say, pulled back into a tight ponytail, this can also cause loss. In the most common natural condition, the scalp follicles are affected by the excess production of dihydrotestosterone (DHT). The only real difference is in the result. Whereas men who suffer from androgenic alopecia develop a characteristic pattern on baldness, women simply lose the density of hair distributed over the scalp with only slight loss of hair on the front hairline. This thinning accelerates with age and, in older women can allow sight of the scalp. When this causes embarrassment, women affected will resort to wearing a wig in cooler climates. Where it is hot and there would be excessive sweating, women usually wear a scarf. 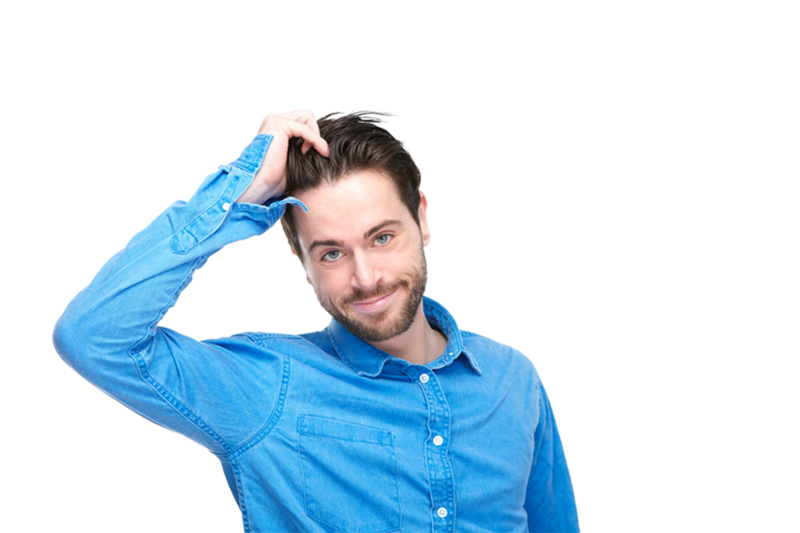 The standard treatment for men is propecia which prevents the conversion of testosterone into DHT. Thus, in theory, this drug should work well in women. This is, however, subject to some controversy and the mainstream view is that women do not benefit. However, some doctors are prepared to prescribe propecia off-label, i.e. the FDA does not prohibit this use, it merely fails to formally approve it.